You found your well was gas lifting through a leaking valve 3 mandrels too high? 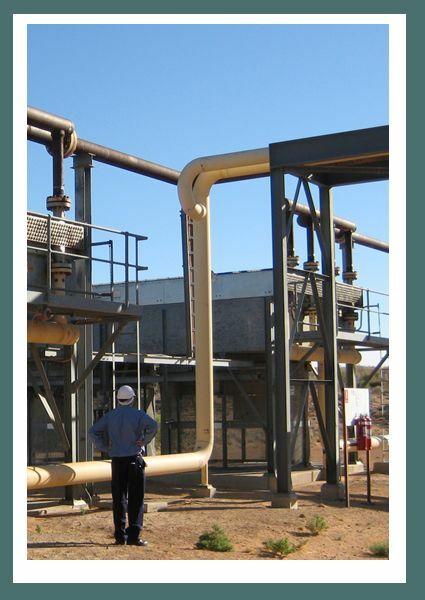 You saw that only a dump valve was restricting your production, not the size of the separator? The zone you thought was watered out was not producing at all? Your Operations Tech told you how to easily eliminate the water overboard constraint? Those three wells that were shut down because of high GOR actually had normal GOR? You were told the compressor scrubber inlet had been partially blocked with gloves and welding rods? You found twelve well chokes were 'fully opened' but still causing significant backpressure? You realized you could put your high pressure well into your low pressure manifold? You found out that three wells that were choked back for sand production were not producing sand at all? That strange pressure drop turned out to be from an old full-bore valve with a restricted port? You found a plugged gravel pack was causing a huge drawdown in one of your bettter wells? You realized that adding a second pipeline would be better and cheaper than drilling a new well? You found an opportunity to increase production in your field like these examples? I know you felt GREAT! *If you have not had that special feeling of production system optimization success, that makes me sad. Let me help you! Have you ever thought about how you might more consistently find such optimization opportunities? How could you decrease your field's cost per barrel through optimization? Perhaps you are already an outstanding optimizer but would like to lead your team/division/company to optimization glory? If so, I can help you with that. Who is this book for? Field staff or Engineers? Onshore or Offshore assets? New staff or experienced? My first 15 years experience was with offshore fields but I have had both onshore and offshore experience over the past 20 years. The class reflects that experience. I'm very happy to have field-based Operations staff in the course, they always add to everyone's learning. The course was really designed for engineers. I have taught it to new and experienced engineers. For the new engineers, this course frame their field optimization tasks in the greater context. For experienced engineers, there are plenty of suggestions and tips, reflections on current performance, new ways to view this essential work, discussions about strategy, how to lead organizational change, etc. The 4 main steps of the PSO process and the rare and critical 5th step. When data has value and when it does not. Procedures and techniques to ensure valuable data is always available. How to calculate the error in decisions resulting from measurement inaccuracy. The 4 Pillars of Measurement and how to improve measurements. The 5 Cycles of Surveillance and the 3 that are most important for PSO. 5 methods to identify anomalies that can lead to value. The best way to use Models for surveillance. The impact of automated surveillance. How to use visualizations for surveillance. The 4 requirements of Optimization. The best places to find opportunities. 2 common misunderstandings in system optimization. 3 simple optimization tools for multi-discipline teams. Simple methods for selecting and presenting the best set of PSO opportunities to implement. Simple tools for PSO look-backs and reviews. The Optimization Paradox that can end PSO efforts in your business. 3 secrets to fight the Optimization Paradox. How to plan the next steps in your field/asset/division/company. Many brownfield optimization examples from Burney’s 35 year career. A health-check tool to detect potential areas for PSO improvement. Standard Operating Procedures (SOPs) for specific parts of the process. Suggested Key Performance Indicators (KPIs) to manage each step of the PSO process. Exercises to practice critical PSO techniques. A competitive, simulated field exercise to practice the main steps of the process. Help in creating a roadmap for PSO improvement. Copyright 2019 Burney Waring. All rights reserved.